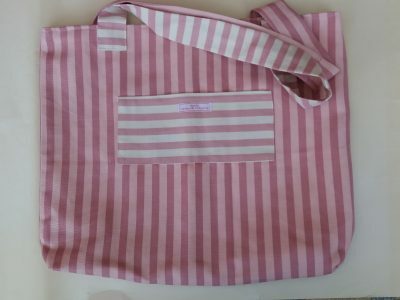 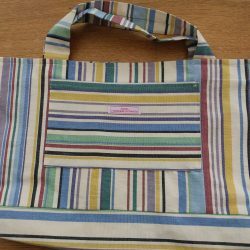 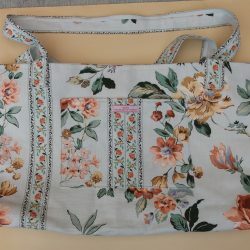 Very large Beach Bag in Pink and Cream stripes. Fully lined with pocket both inside and outside (contrast pink and cream stripes). 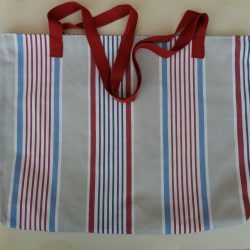 Handles mis-matched in contrast pink and cream stripes. 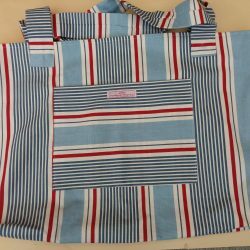 25.5″ l (65cm) x 1.75″ (4.5cm).